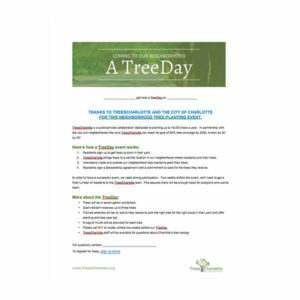 Ideas on how to Host a Successful TreeDay can be found below under Event Tips along with the TreeSteward Responsibilities. Once your date is set, start promoting your event by personalizing one of the flyers or postcards below. You can also promote your event and help increase participation by using social media. 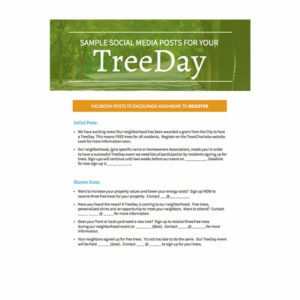 For sample posts for Facebook and copy for email, see the Social Media Posts found under Promo Copy. 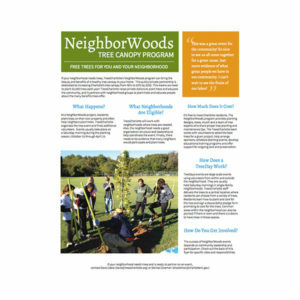 Consider posting copies of the NeighborWoods Brochure around your neighborhood. 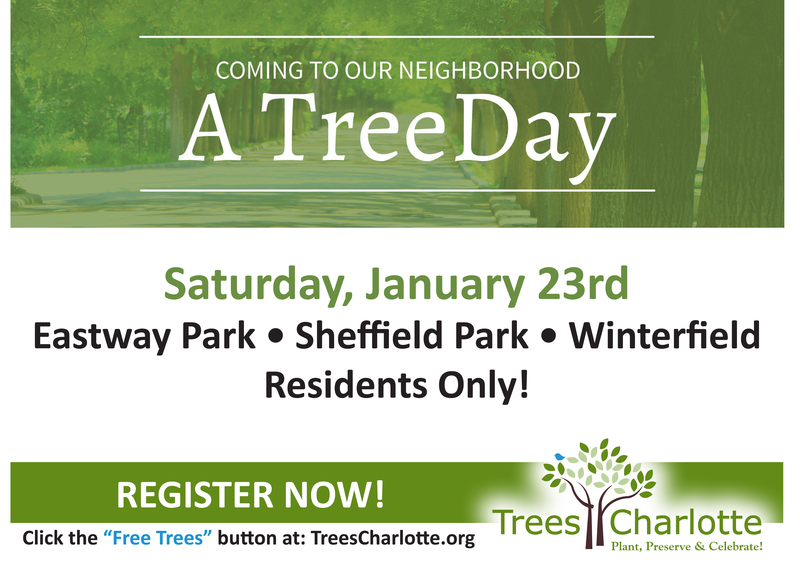 Start the process to become a TreesCharlotte NeighborWood! 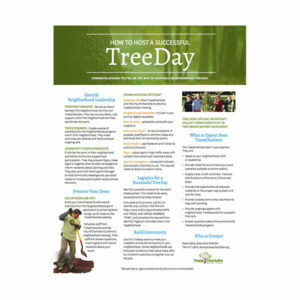 Learn how to host a successful TreeDay event. 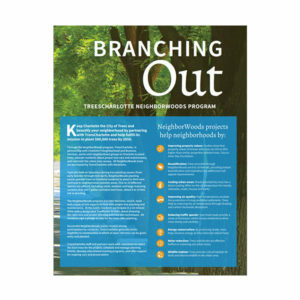 Flyer for neighborhood leaders. 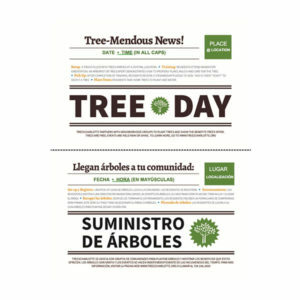 Promote your event to residents. Promote event with postcards, fill in location and date of your event. For use on signs, flyers, posters and in any other creative ways you choose. 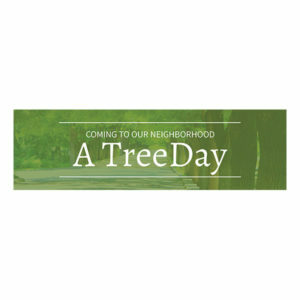 This is the official TreesCharlotte logo. Please include in all promotional material. 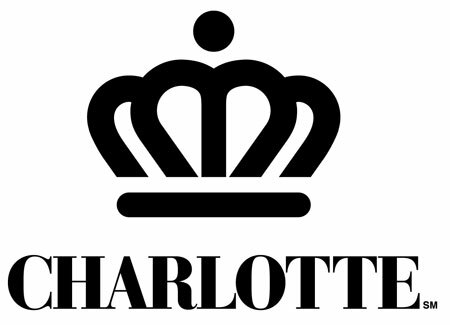 This is the official City of Charlotte logo. Promote events via social media. Use our examples to get your started. 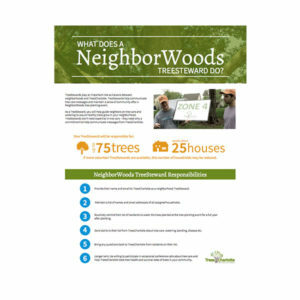 Distribute Neighborwoods brochure to your neighbors. 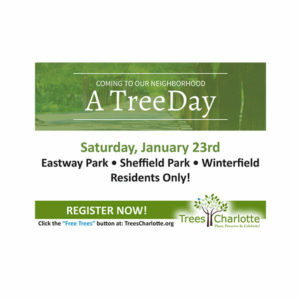 This is an example of a sign created by resident leaders to promote event date and online registration (signs not provided by TreesCharlotte).